Six years ago, on a family holiday in Thailand, Sam Bloom’s life changed irrevocably when the rooftop railing she leant against gave way. Sam’s spine was shattered in two places, her lungs were ruptured, and she had bleeding on the brain. The fall would leave her paralysed from the chest down. It has been a challenging and dark road at times for Sam but rediscovering the ocean has helped make her wheelchair-bound world a little bigger and a little brighter. I first met Sam and her husband Cameron 20 years ago in a vast, fly-in only safari camp in northern Botswana. An odd place for fellow Sydneysiders to cross paths. I was working there and Cam, a professional photographer, had been commissioned by an Aussie magazine to shoot a feature article. Sam tells me her spinal cord injury robbed the world of that girl; the happy, carefree, spontaneous adventurer, but I disagree. I still see much of the Sam I met back then; shy, self-deprecating, honest, humble, athletic and quietly determined. Both then and now I appreciate she’s not one to underestimate. My early impressions were that Sam and Cam were peas in a pod even though their personalities were so very different. Cam the extrovert, the chatterbox and Sam, more reserved and with an inherent kindness you could spot a mile away. Sam was and is the love of Cam’s life and tragic circumstances have in no way diminished that. “Cam has been incredible from the moment it happened. He has had to put up with a lot from me but has never wavered in his support, compassion or positivity. It blows my mind actually,” Sam says with much warmth in her voice. 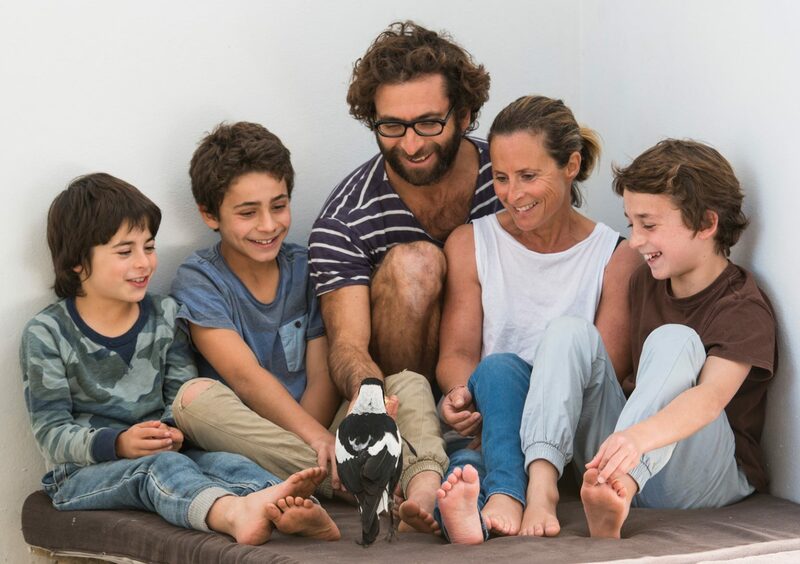 Sam’s story has inspired people the world over, many of whom discovered her through the best-selling book, Penguin Bloom about a magpie chick the family found abandoned. One of the videos showing “Penguin” with Sam and Cam discussing the impact the little bird had on Sam’s recovery, has been viewed millions of times (46 million views and counting). More still will learn about the Bloom family when the major motion picture comes out in the next year or two. It’s difficult for Sam to see silver linings as she misses her independence and pre-accident life so dearly. However, she acknowledges that one of the best things to come from her story being widely known is hearing from people all over the world who thank her for giving them strength and making them feel less alone. 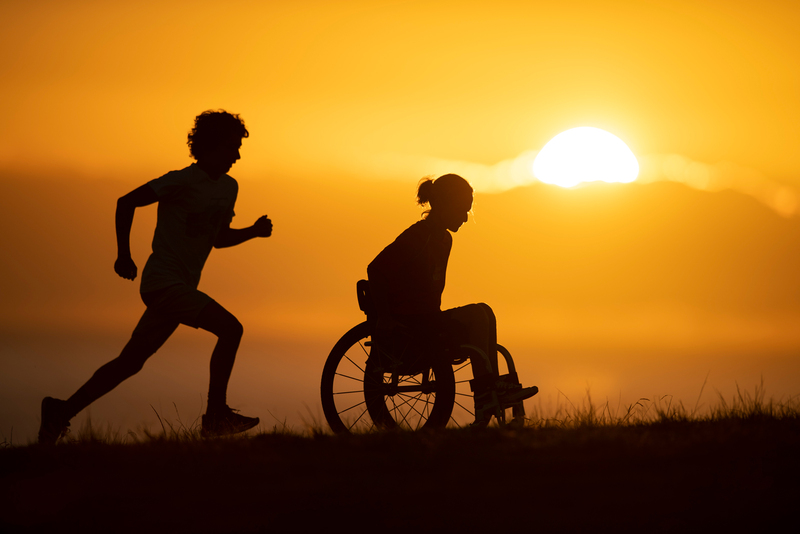 Family members of those with motor neurone disease, MS or spinal cord injuries and individuals struggling with a devastating diagnosis have contacted Sam with words of gratitude and love. About 18 months ago, one Australian woman sent Sam a package with a beautiful letter and handmade cowrie shell jewellery. She also encouraged Sam to take up surfing again – a sport Sam has loved since childhood and which had long been her beautiful escape. Incidentally, the parcel was from Nola Wilson, the mother of champion surfer, Julian Wilson (currently second in the world rankings). Through Julian, Nola understands the tremendous joy and fulfillment the ocean can bring. “Nola played a massive role in getting me out into the ocean and back on a surfboard. I think she understood how beneficial the ocean could be for me, not just physically but from a mental health perspective too,” Sam says. Sam has always been competitive, and sport played a huge part in her life prior to the accident. A few years ago Sam decided to give kayaking a go. She hadn’t done much of it before but loved being out on the water and away from the wheelchair. As someone still coming to terms with needing to be helped so much day-to-day, kayaking also brought Sam some much welcome solitude and independence. Kayaking was particularly challenging because Sam’s spinal cord was severely damaged high on her back, so she is unable to use her torso for strength and balance like most kayakers. The power instead must come from her arms and upper body. There were countless wobbles and falls but Sam is Sam and before long, the right people were taking notice. 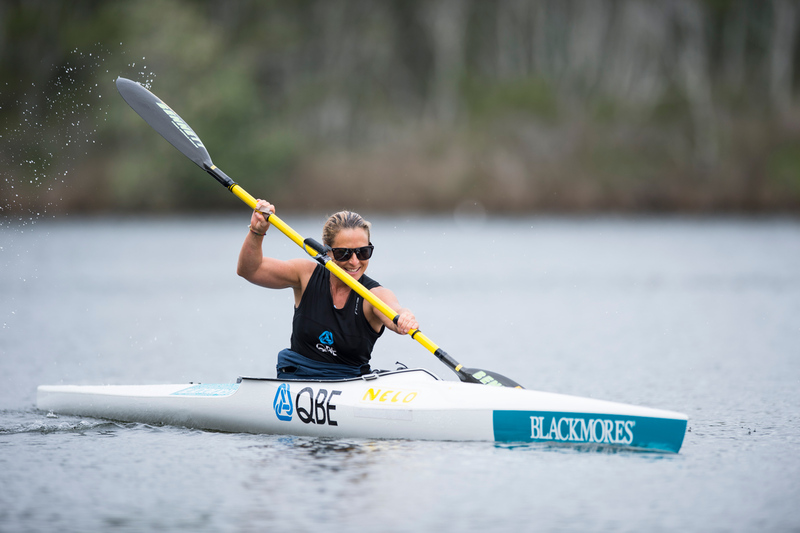 She was selected in the Australian ParaCanoe team and competed in the 2015 World Championships in Milan. Surfing presented Sam’s next big opportunity. Having grown up surfing, Sam felt more comfortable on a board than she had in a kayak and it helped that she could call on old skills to read the waves and surf conditions. She never planned to compete but entered her first competition mid-2018 and was thrilled to be selected in the Australian Adaptive Surf Team. In December, Cam, Sam and their three teenage boys, Rueben, Noah and Oli packed their bags for the Stance ISA World Adaptive Surfing Championship in San Diego. Sam had only been surfing again for a year. A short board shaped especially for Sam by local Angourie shaper, Luke Short was designed to be more responsive to her particular style. “Most women surf longer boards but I really wanted to have more control and the ability to take off on steeper faces and turn more. A handle on the front of the board enables me to leverage my torso left and right – this is how I turn,” Sam explains. Sam loved every minute of the competition. The wheelchair was far from sight, she was surfing under a beautiful blue Californian sky and as always, Cam was close by, cheering her on. Their three boys watched, hearts full, from the shoreline. Sam gave her all to every single wave throughout the competition. Her coach was there to catch her after each wave and help her back on the board if she fell. He would then paddle her back out to Cam who pushed Sam onto the best waves. After the final event, Cam and Sam headed into the beach together. It was only as the sounds of ‘Aussie, Aussie, Aussie, oi, oi, oi’ reached them that they learnt the outcome. Sam had won! 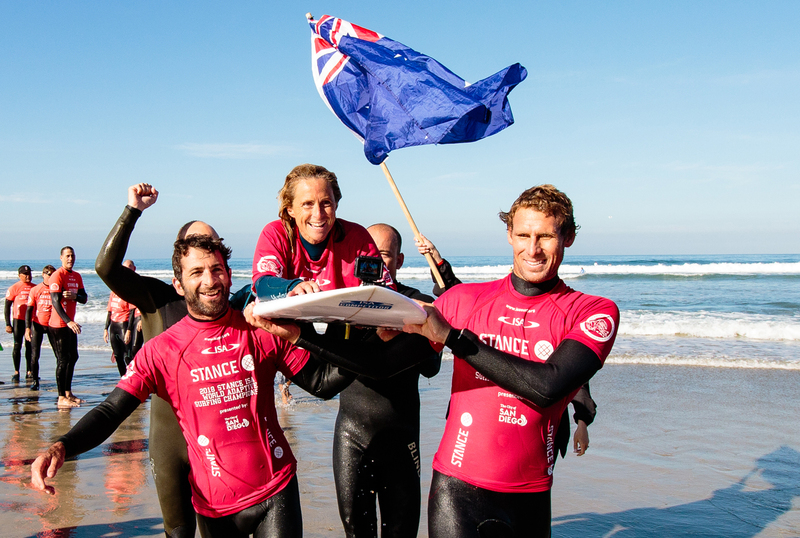 She was the new world champion in her class of adaptive surfing. Her beautiful broad smile as she was carried from the surf said it all. And while Sam may think that the gentle but resilient adventurer I met two decades ago in the African bush has gone, every day she fights and strives for new challenges like kayaking and surfing to make her world a little bit bigger. I still see her, it’s just that some of her parts are broken now.